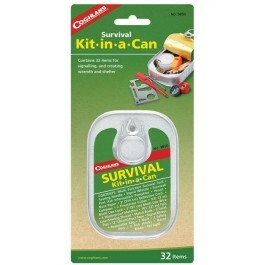 The Coghlan’s Survival Kit in a Can contains 38 essential items that can be useful during emergency survival situations. 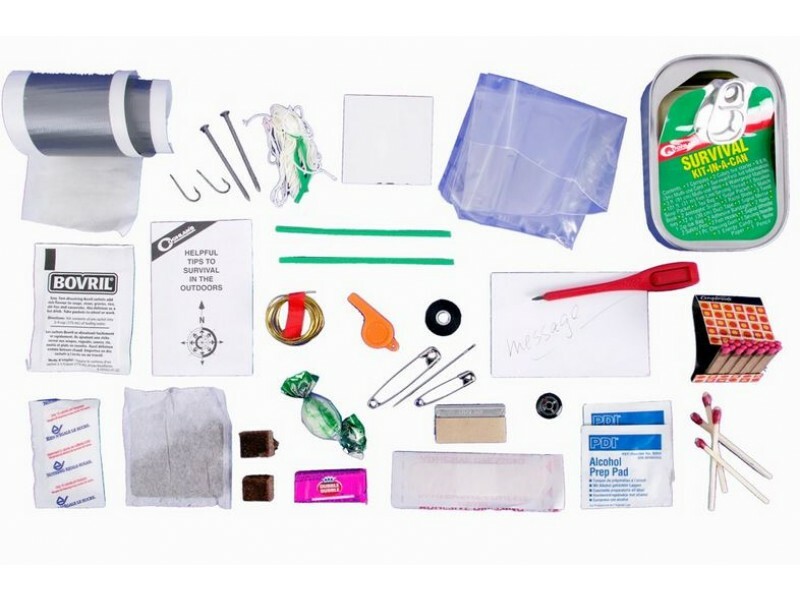 From a fire starter and compass, to energy candy and a soup packet, you’ll have much of what you need to survive until help arrives. 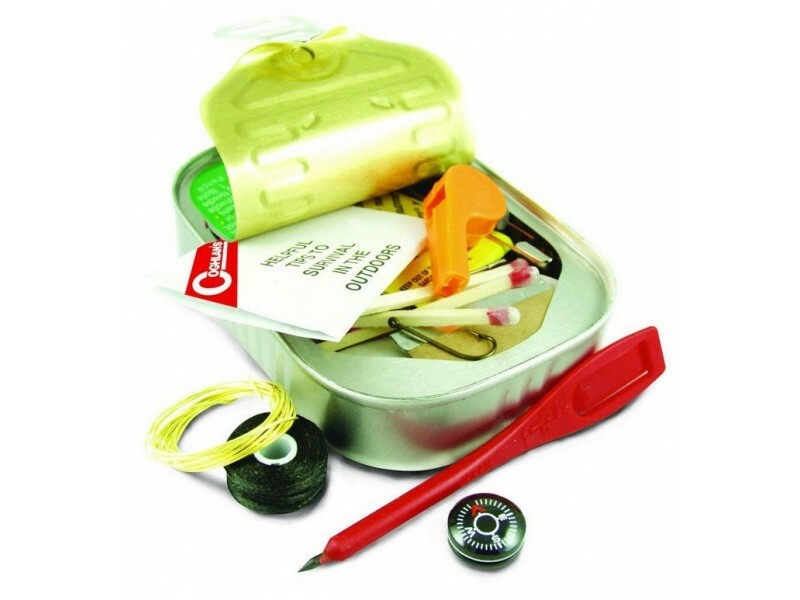 This mini survival kit has waterproof matches and also includes a first aid pamphlet. 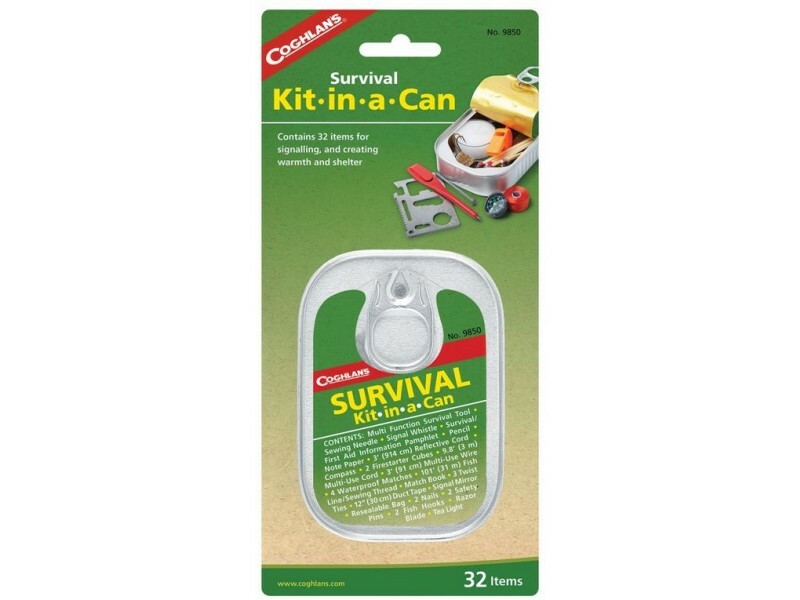 The Coghlan's Survival Kit In a Can is compact and lightweight, so you can easily carry it in your backpack or pocket when hiking or camping.